At Smart Fit Solution we have the ability to transform your existing kitchen into your dream kitchen, a kitchen that not only looks great but most importantly, works on all levels. 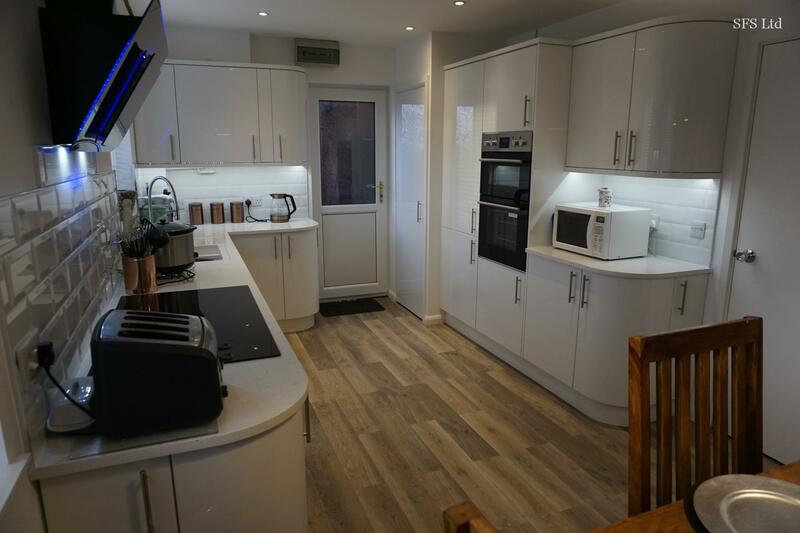 With years of experience in kitchen design we take all aspects of the room and intended usage into consideration, including a lot of small but very important details. 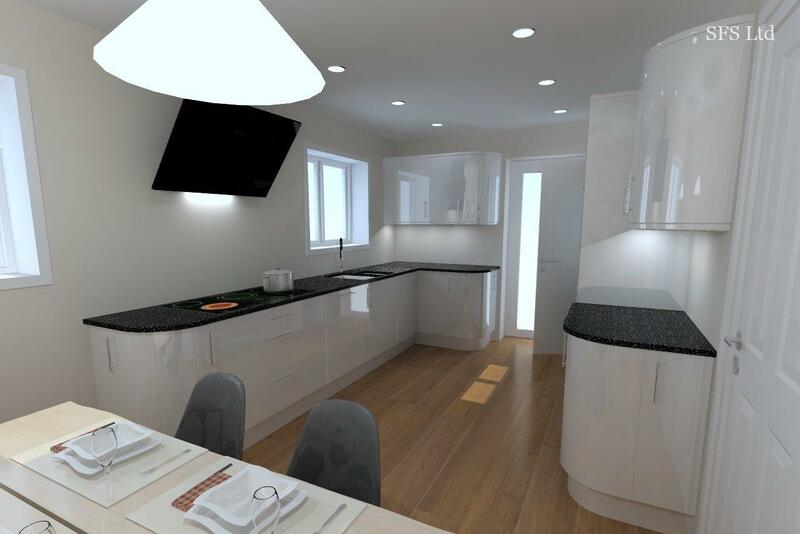 It is vital to understand that every kitchen design is a compromise between its’ appearance and its’ practicality. We haven’t yet come across a kitchen where the best possible design is also the most practical kitchen. 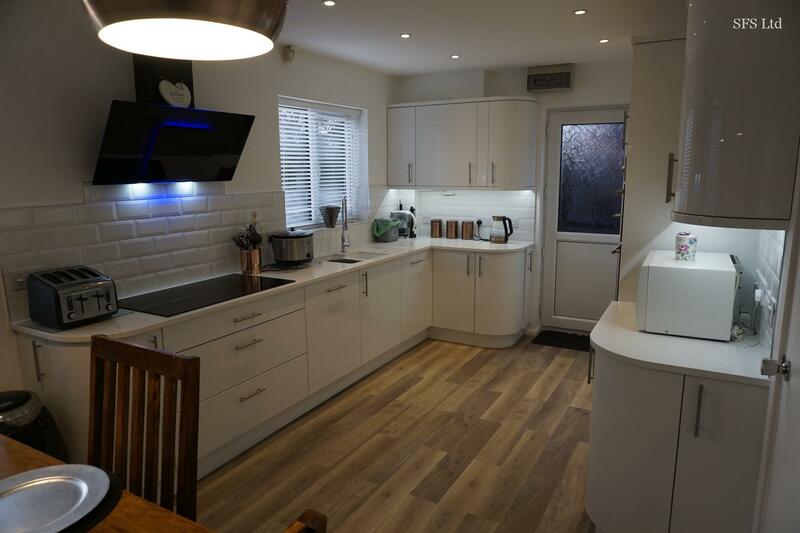 We therefore take the time to talk to our customers about what kind of kitchen they are looking for: one that is more for show with just occasional use or one that will become the heart of the home. We then design the room accordingly. 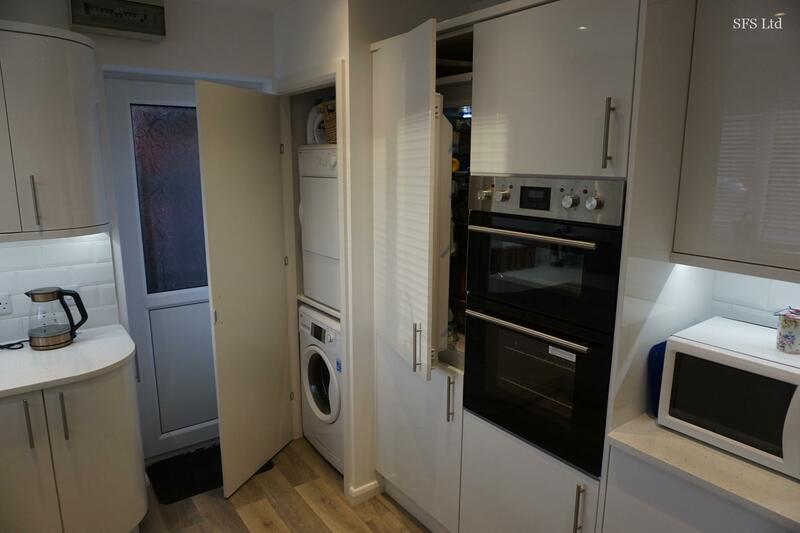 We always aim to make sure that the finished room will look symmetrical and that the appliances are in the best place in relation to each other i.e. sink, fridge and hob are generally best if they form a triangle. 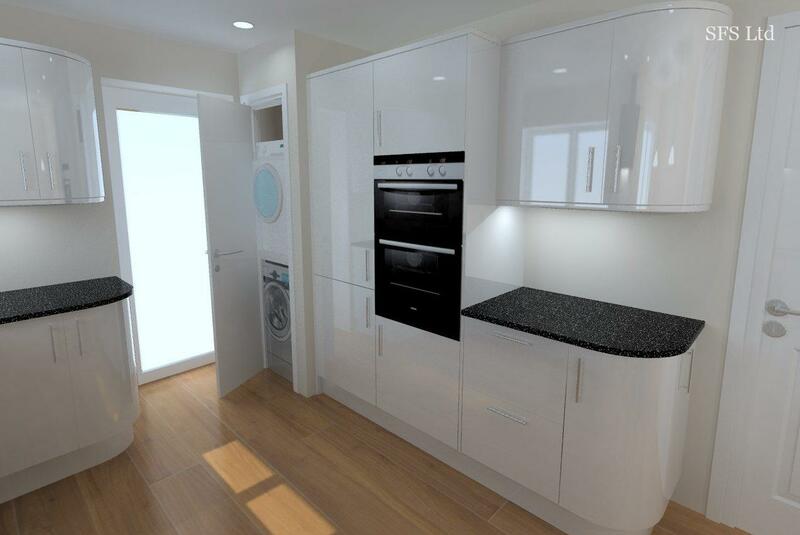 Our designs are created using one of the best software packages on the market today. 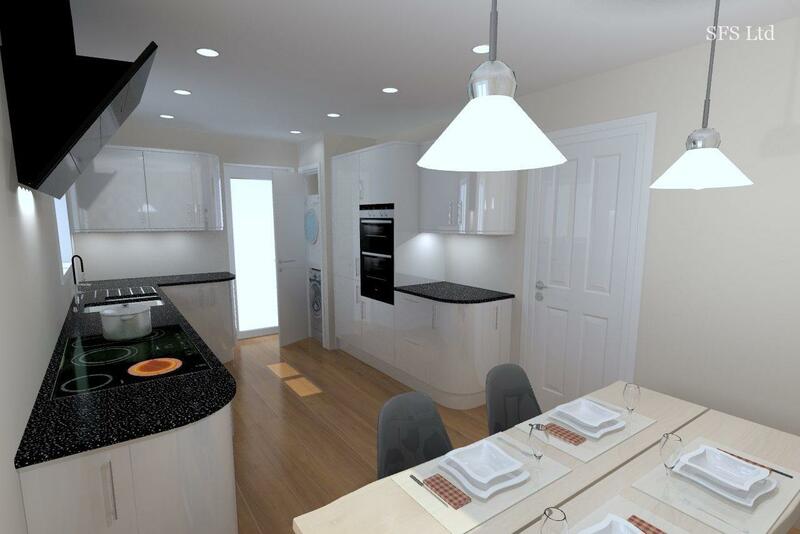 This allows us to present kitchen plans to the customer in a photographic format which, in turn, makes it easier for them to visualise their kitchen and make any necessary adjustments to turn it into their dream kitchen. We also use one of the most reputable kitchen suppliers in the UK: Crown Imperial, who are often featured in high-end designer magazines. With over 70 years in the market they supply high quality kitchens that not only look good but are very hardwearing and last a lifetime. 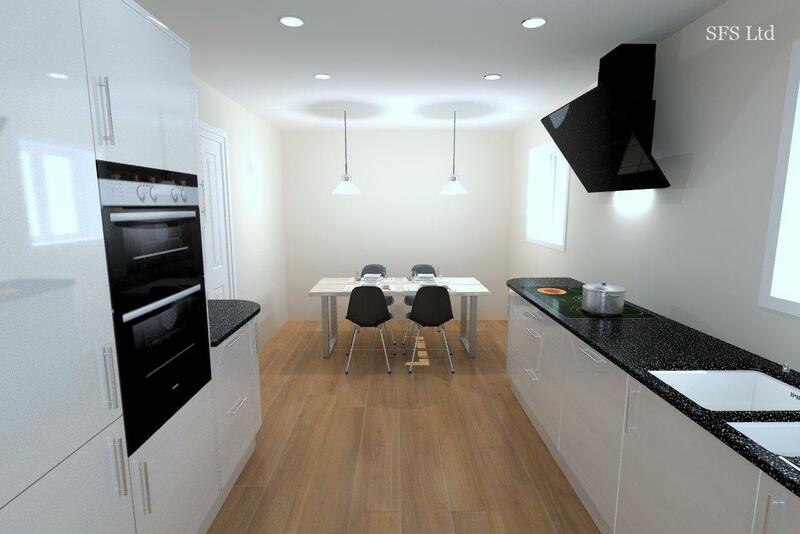 Take a look at the pictures below which demonstrate the similarity between the designed kitchen (on the left) and the completed kitchen (on the right). 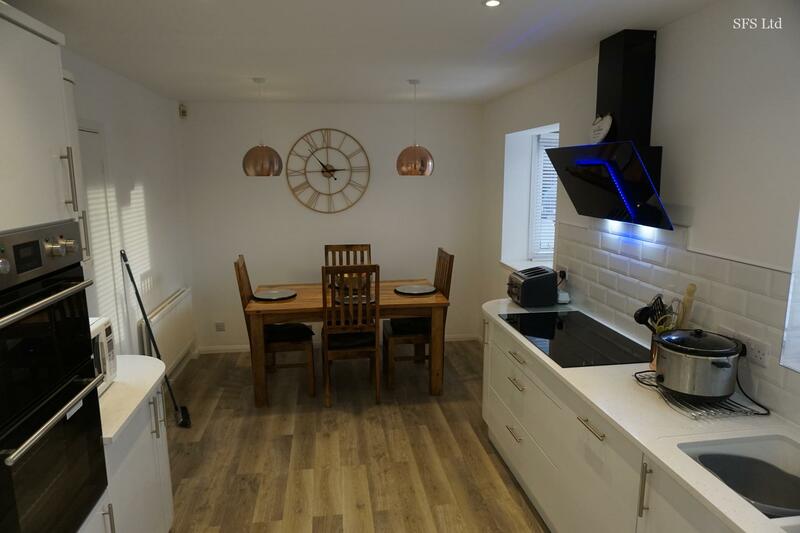 As you look around the room you will see that our images closely resemble the finished room, giving a clear indication of how the design will develop into reality.